An action adventure game in a post-apocalyptic survival horror setting, created by the Naughty Dog developer studio (known mainly from the Uncharted series) and published by Sony Computer Entertainment. 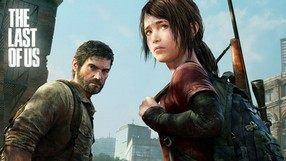 The story of Last of Us takes place in the nearby future – 20 years after a mysterious plague decimated the humanity and led to the fall of civilization. Two people – smuggler Joel (controlled by player) and a teenage orphan, Ellie, try to survive in a world filled with dangers. The gameplay revolves around exploring locations and fighting enemies using guns and environment (stones, table legs etc.). In addition to the single player campaign, the game offers fully functional online multiplayer with three different game modes: Supply Raid, Survivors, and Interrogation. A collection of three three-dimensional platform games that were originally released on the first PlayStation. 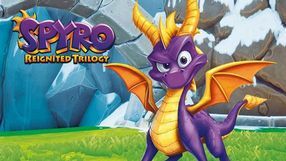 The protagonist is a small, purple dragon named Spyro. The collection features the following games: Spyro the Dragon, Spyro 2: Ripto’s Rage! and Spyro: Year of the Dragon. The games feature almost the same gameplay as the originals, but their graphics were greatly refreshed. 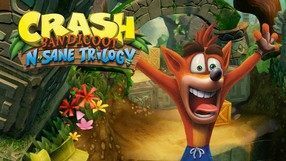 A bundle of first three Crash Bandicoot games, remastered by Vicarious Visions studio. Aside from modern visuals, all games feature rebuilt levels, as well as a new save system, which lets us use every control point along with quick save option. What’s more, they've received an unified menu and a Time Trial mode. Like in originals, Crash Bandicoot N. Sane Trilogy lets us take control of the titular bandicoot, who must stop the evil Dr Cortex from taking over the world. As the game is a classic three-dimensional platformer, gameplay focuses on completing linear levels, avoiding traps, and fighting enemies, which can be dealt with using a few attacks, like spinning or jumping on enemy’s head. We also collect Wumpa fruits that can earn us another life, as well as find secrets and collect Aku Aku masks that help us in our journey. 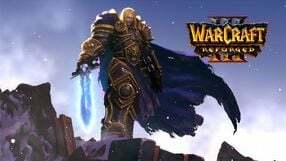 A remastered version of Warcraft III from 2002, which is one of the most popular RTS games in history. The game includes not only the basic version of the original title but also its legendary expansion: The Frozen Throne. 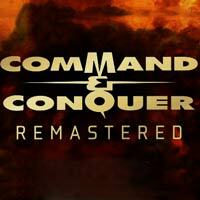 The remaster offers refreshed graphics, re-recorded character dialogs and a number of game fixes. A remastered version of the 2012 shooter in which we found ourselves in Berlin at the end of World War II. In the course of the game we play the role of the American sniper Karl Fairburne, whose task is to stop the Soviet troops from placing their hands on V2 rockets. 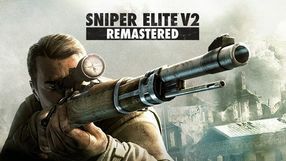 Sniper Elite V2 Remastered has a single player fictional campaign, as well as a cooperative module and competitive multiplayer mode. 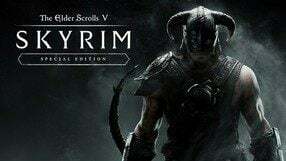 A remastered edition of the fifth instalment of the famous role-playing game series The Elder Scrolls, developed by Bethesda for PC Windows and eight generation consoles. The story takes place 200 years after the events of Oblivion, and you play as one of the last Dovahkiin – dragon hunters blessed by the gods. When the scaled beasts once again appear in the skies and a prophecy foretells the arrival of Alduin, the god of destruction, you have to stop the oncoming apocalypse. The Elder Scrolls: Skyrim includes the core game, all the official DLC packs, and a wide range of visual upgrades. The developers created e.g. higher-resolution textures and effects such as volumetric lighting or dynamic depth of field. One of the main attractions of this edition is the introduction of fan mod support not only for PC Windows, but also for the console versions of the game. 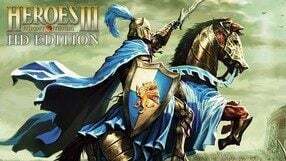 A remastered edition of one of the most well-received installments of the legendary Heroes of Might & Magic series, created for the 15th anniversary of the game's original release and the 20th anniversary of the franchise. It was commissioned by Ubisoft and developed by DotEmu, known e.g. from the remake of the cult platform game Another World. The contents of the HD edition are the same as the base game (no expansions included) and consist of 7 story campaigns (about 50 maps in total), a skirmish mode and a functional editor. Compared to the original, the key changes are the upgraded wide-screen-compatible HD visuals. The graphics are now sharper and more clear-cut, which is the result of reprogramming over 25,000 elements and models. The multiplayer mode has also been upgraded, both in the local “hotseat” mode and the online one. Also, for the first time ever, a version for mobile devices was created. 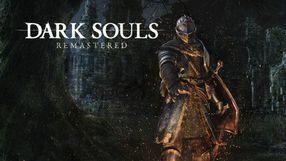 A remastered edition of 2011 Dark Souls. 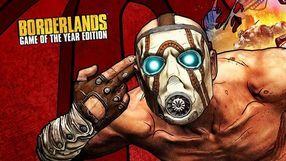 The game offers improved visuals allowing players who own Xbox One X, PlayStation 4 Pro, and PC Windows to enjoy 4K resolution and stable 60 FPS. Remake of the cult CTR: Crash Team Racing, developed by Beenox studio. 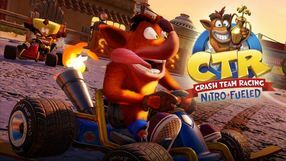 Nitro-Fueled stands out from the original Crash Team Racing thanks to its thoroughly refreshed graphics, as well as new karts and previously unseen tracks. 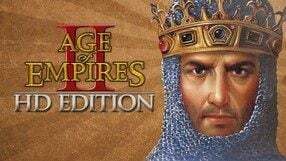 A remastered version of Age of Empire II: The Age of the Kings, a popular real-time strategy game and its expansion - Age of Empires II: The Conqueror. 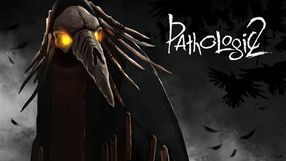 The new edition was developed by Hidden Path Entertainment in cooperation with Microsoft Game Studios. Compared to the 1999’s original, the changes introduced in Age of Empires II: HD Edition involve mainly improved graphics, which were adjusted to HD standard. The developers remained faithful to the classic gameplay mechanics — the players assume the role of a leader of one of 18 historical nations and control their progress through subsequent centuries. Victory can be achieved in various ways, including military conquest, diplomacy, and economic expansion. An improved edition of a popular RTS game created by FireFly Studios and originally released back in 2002. The HD edition increases the maximum resolution supported and adds zooming in and out in the isometric view. 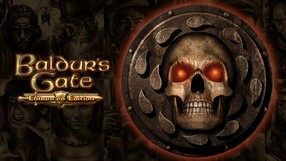 The game offers the entire content of the original release, supplemented with additional units, scenarios and tactical options introduced in the Stronghold Warchest and Stronghold Crusader Extreme editions. The player assumes the role of a castle's administrator living during the first three crusades. Throughout several single player campaigns, the player completes a series of story missions, familiarizing themselves with subsequent game mechanics. Balancing between prosperous economy and powerful army is the core element of gameplay here. Apart from standard campaigns, the game offers a set of individual scenarios and multiplayer missions for up to 8 players. Beyond the aforementioned technical improvements, the audiovisuals as such were not changed. 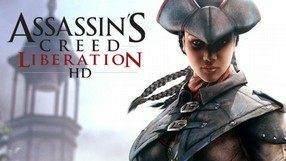 A re-released edition of the action game Assassin's Creed: Liberation, previously released for PlayStation Vita, now converted for PC Windows and home consoles. 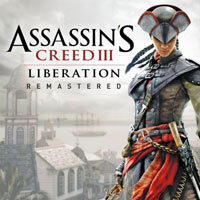 Like in the 2012 original, the protagonist of Assassin's Creed: Liberation is the Black woman Aveline de Gandpré, who joins the Assassins to fight for liberty and justice. The game is set mostly in New Orleans in the turbulent years 1765-1780. As per an Assassin's Creed game, the gameplay focuses on exploring vast locations, and spectacular combat, utilizing Aveline's parkour skills. Assassin's Creed: Liberation HD features several major mechanics changes and better visuals provided by the AnvilNext engine. A new edition of Titan Quest, a classic hack-and-slash, bundled with its official expansion Immortal Throne, prepared for the 10th anniversary of the release. The plot takes place in ancient times, and is based on stories from Greek, Egyptian, Babylonian, and Chinese mythologies. The players assume the role of a hero, who is tasked with finding a way to imprison the Titans, who've managed to escape after years of imprisonment, and are now causing mayhem and destruction on Earth. The reedition was developed as a joint venture between the original developers – Iron Lore studio and THQ Nordic. 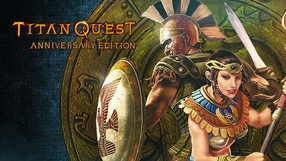 In total, Titan Quest Anniversary Edition contains 1261 changes, including, for example, a better balancing of individual classes, abilities, weapons, and items. Other changes include: a better non-player character AI, greater equipment capacity, or an improved loot system. Aside from that, the game incorporates a large group of new enemies and bosses. The visuals underwent only symbolic changes, but they are still eye-catching, despite the passage of the time. A set of eight games created by Konami, which debuted on arcade machines. 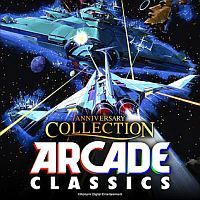 The compilation of Konami 50th Anniversary Collection - Arcade Classics was released on the occasion of the company's fiftieth anniversary. 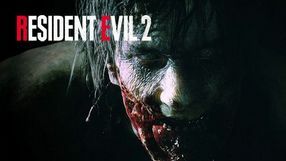 A remastered edition of the fourth installment in the legendary Resident Evil series, regarded as the most important one in the franchise. The original title was published in 2005 on GameCube and PlayStation 2. 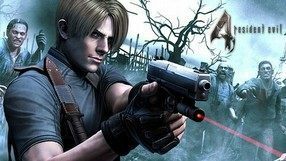 In Resident Evil 4 you assume the role of Leon S. Kennedy, the famous policeman from the second installment, who travels to Spain in order to find the president’s lost daughter. The mission turned out to be more complicated than he thought – he has to fight hundreds of mutants infected with a virus and a mysterious sect ruled by Osmund Saddler. Gameplay is almost identical to the original title, as the developers decided not to alter mechanics and focused on converting graphics to HD. Most of textures and the lighting system are updated and an achievement system typical for contemporary productions was also implemented. 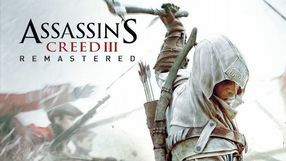 A remastered version of Asssassin's Creed III: Liberation. Like the 2014 HD version, the production stands out from the original thanks to improved graphics and mechanics. A refreshed version of Age of Empires, a real-time strategy game that debuted in 1997. Microsoft, the company responsible for the new version, focused not only on improving the graphics so that they now support 4K resolution, but on recording a new version of the symphonic soundtrack as well. The title contains the contents of the basic version of the original game and of the Rise of Rome expansion pack. The single player scenarios were expanded with new narrative features. 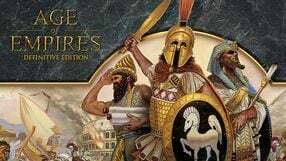 In Age of Empires: Definitive Edition the player is leading civilizations from various regions of the world to war. The gameplay is focused on expanding the base, obtaining resources, recruiting army and participating in dynamic battles. A modernized interface makes controlling the battlefield easier. In addition to single player modes, the title offers multiplayer mode based on Xbox Live. A remastered edition of 2007's Call of Duty: Modern Warfare. 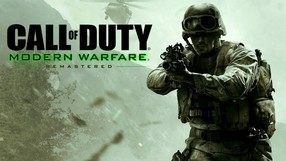 The original game was developed by Infinity Ward and it was the first installment in the legendary FPS series to be set in contemporary world. The plot is centered around a fictional military conflict from the turn of the 21st century, initiated by an extreme Russian nationalist by the name of Zakhaev, who supports terrorism in order to create a distraction from an attempt to take over his native country. The player assumes the roles of several different characters throughout the game, participating in subsequent dramatic missions taking place in various parts of the globe. The remastered edition offers higher-quality textures, new animations, improved lighting and shading effects, as well as improved sounds. Apart from the single-player campaign, Call of Duty: Modern Warfare Remastered features ten most popular maps for multiplayer competition. Additionally, it is worth mentioning that the game is featured as a bonus in the special edition of Call of Duty: Infinite Warfare. 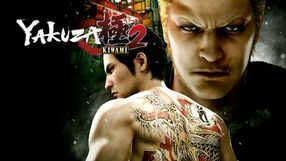 Yakuza Kiwami 2 is an expanded remake of the second entry in the Yakuza series. The game was developed by Sega and enables the player to assume the role of Kazuma Kiryu. The developers left the story from the original version and used a modern engine and improved mechanics. A package of games from the Halo series, which includes: Halo Combat Evolved Anniversary, Halo 2 (also in Anniversary version), Halo 3, Halo 4 and Halo 3: ODST. 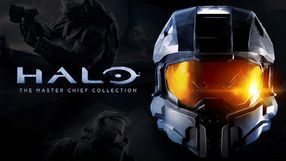 Additionally, the version for personal computers includes a prequel of the cycle, entitled Halo: Reach.